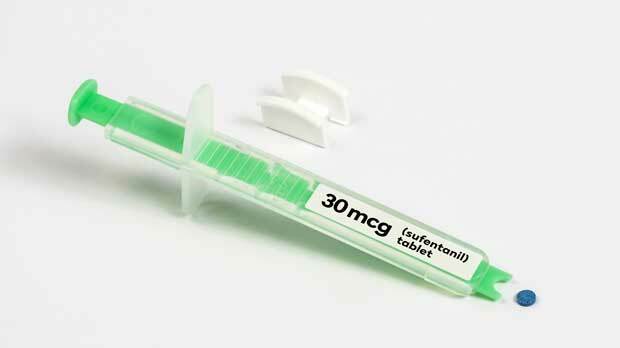 TRENTON, N.J. (AP) — U.S. regulators on Friday approved a fast-acting, super-potent opioid tablet as an alternative to IV painkillers used in hospitals. The decision by the Food and Drug Administration came over objections from critics who fear the pill will be abused. In a lengthy statement, FDA Commissioner Scott Gottlieb said there will be “very tight restrictions” placed on its distribution and it is intended only for supervised settings like hospitals. A panel of FDA advisers had earlier voted 10-3 in favor of the pill called Dsuvia (duh-SOO’-vee-uh). But in a rare response, the panel’s chairman joined critics in urging the FDA to reject it. The chairman, Dr. Raeford E. Brown Jr., who couldn’t attend the meeting and didn’t cast a vote, predicts that the pill will be abused inside and outside medical settings and cause overdose deaths. Gottlieb said the drug will carry a boxed warning and won’t be available at drugstores for patients to take home. Acknowledging the criticism, he said he’s asked FDA staff to “evaluate a new framework” for the approval of new opioid drugs that will clearly outline how the agency considers benefits and risks. “We won’t sidestep what I believe is the real underlying source of discontent among the critics of this approval — the question of whether or not America needs another powerful opioid while in the throes of a massive crisis of addiction,” Gottlieb’s wrote. Sidney Wolfe of Public Citizen’s Health Research Group, a consumer group, called Gottlieb’s statement “empty rhetoric” and said the agency missed a big opportunity when it approved the pill.